Learn how to repair and format Skymedi SK6211BA chip controller.Fix corrupted Skymedi SK6612AB, SK6612AC / AD, SK6621AA, SK6621AB, SK6625AA, SK6618AA / AB, SK6211, SK6201AB, SK6281AA, SK6281AB, SK6288AA .Download SK6211_20090227_BA.exe and repair your USB flash disk . SK6211_20090227_BA format software has been designed to format Skymedi chip controllers .SK6211 20090227 BA recovery tool support repairing the following Skymedi chip controllers "SK6612AB, SK6612AC / AD, SK6621AA, SK6621AB, SK6625AA, SK6618AA / AB, SK6211, SK6201AB, SK6281AA, SK6281AB, SK6288AA . 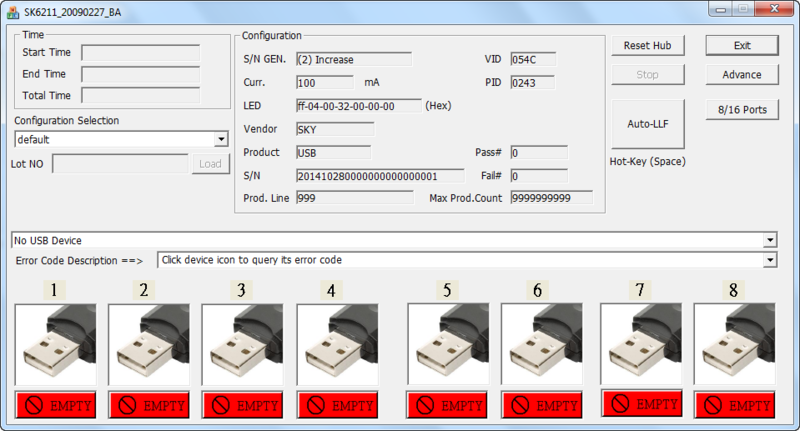 Skymedi SK62XX USB format tools support formatting Skymedi chip controllers with low level format .You can fix Skymedi format errors such as Write protection error , Insert disk error message ,Raw flash drives and other format errors .SK6211BA format tools will support update the following flash controller firmware SK6612AB, SK6612AC / AD, SK6621AA, SK6621AB, SK6625AA, SK6618AA / AB, SK6211, SK6201AB, SK6281AA, SK6281AB, SK6288AA , so please don't use it with different chip controllers .You can use Chip genius software or USBDeview V2.30 utility to determine your flash disk chip vendor . First you must download SK6211_20090227_BA_format_tools.rar from download links below . Insert corrupted Skymedi flash disk to your computer . Extract SK6211_20090227_BA_format_tools.rar and first open SK6211_20090227_BA.exe then if your flash disk not repaired open the other format tools SK62XX_FAT_20080808.exe ,Recovery Disk V5.3.rar and Update Disk V5.3.rar . 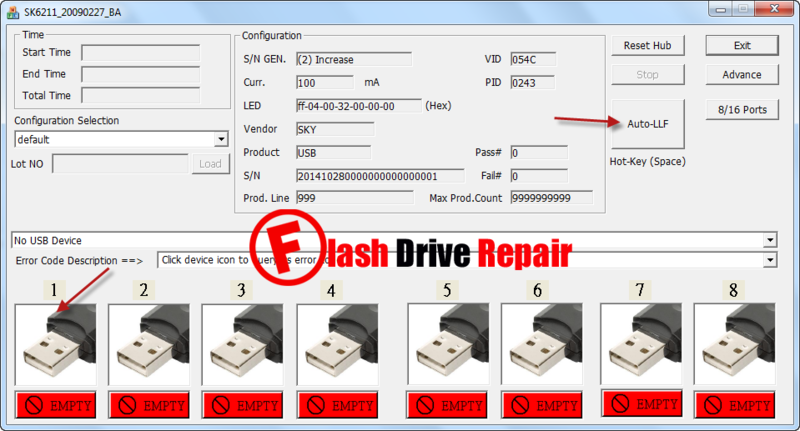 Click Auto LLF to begin formatting your flash disk .